Wood trim strips our forests of natural resources. earthTrim® is a patented technology that utilizies emulsifiers, sawdust from lumber yards/mills, and natural laminate coverings to provide an environmental friendly option to consumers who have a conscience about the impact on the world while still having great look moldings. The earthTrim logo was designed with the company’s environmental objectives in mind. 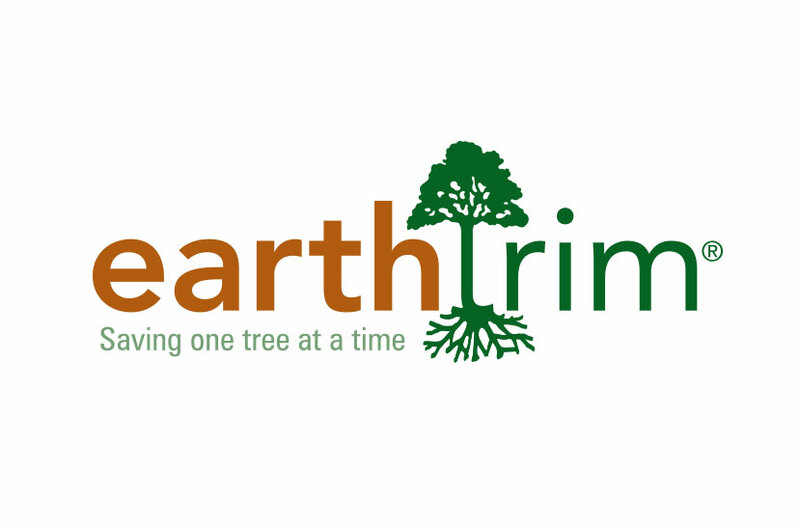 An illustrated tree works as the focal point of the logo, indicating both earthTrim’s services as well as their commitment to greener laminate, moulding and hardwood flooring. The tree doubles as the “T”, separating the two words in earthTrim’s name in a fun, creative way.